Slant-D ring view binder features a clear overlay on front, spine and back cover. Ideal for presentations. Clear overlay allows easy customization by insertion of printed materials. Three slant D-rings accommodate 20 percent more letter-size punched paper than traditional round rings. Pockets on the inside of the front and back cover are designed to store unpunched and loose papers. 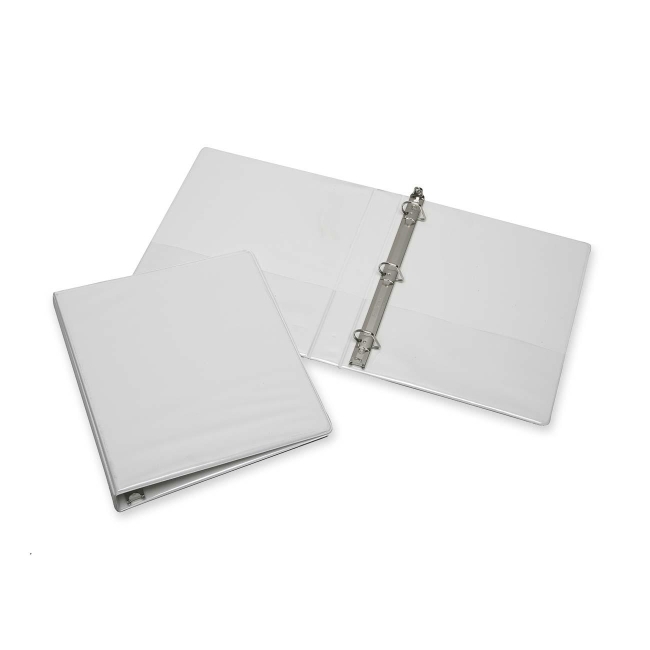 Vinyl binder offers heavy-duty vinyl covers and boards that resist tearing and cracking. Binder is made with a minimum of 60 percent post-consumer recycled material. Binder is manufactured using a Bisphenal-free (BPA) process.